'As I look back, there is a parallel theme to my years at war: love. By that I mean the love - there is no other word for it - I came to feel for the troops, and the overwhelming sense of personal responsibility I developed for them. So much so that it would shape some of my most significant decisions and positions. 'When Robert M.
Gates received a call from the White House, he thought he'd long left Washington politics behind: After working for six presidents in both the CIA and the National Security Council, he was happily serving as president of Texas A&M University. But when he was asked to help a nation mired in two wars and to aid the troops doing the fighting, he answered what he felt was the call of duty. 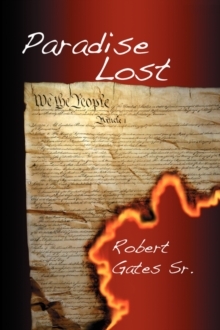 Robert Gates was US Secretary of Defense from 2006 to 2011 serving under both George Bush and Barack Obama. Before that he was Director of the CIA. 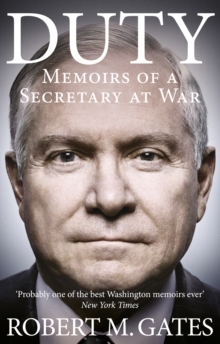 This is his candid and revealing account of US military engagement in Iraq and Afghanistan, where Gates oversaw the controversial `surge' of US troops in both countries. As well as this, he also provides commentary on the situations in Syria, Iran, Israel and North Korea and details behind the scenes meetings with Bush, Cheney, Rice, Obama and other major political figures. Mr. Gates is the only Secretary of Defense to serve under both a Republican and a Democratic president, and in Duty he provides an unsparing, full accounting of his tenure.